The National Museum of History of Moldova takes place among the most important museum institutions of the Republic of Moldova, in terms of both its collection and scientific prestige. The Museum was established on December 21, 1983, when there was issued the Order of the Ministry of Culture No. 561 “On reprofiling of the Museums” (on the basis of the Joint Decree of the Central Committee of the CPM and the Council of Ministers of MSSR “On the utilization of the historical monument – the edifice of the former Chisinau Boys’ Gymnasia where S. Lazo studied” from 29th of November, 1983). In 2006 the National Museum of History of Moldova was reorganized into the National Museum of Archaeology and History of Moldova through absorption of the Museum of Archaeology of the Academy of Sciences of Moldova, according to the Decree of the Government of the Republic of Moldova No.1326 “On the measures of optimization of infrastructure in the field of science and innovation” from 14th of December, 2005. According to the Decree of the Government of the Republic of Moldova No. 184 of 13 March 2013, the National Museum of Archaeology and History of Moldova is renamed as the National Museum of History of Moldova. At present the National Museum of History of Moldova is subordinate to the Ministry of Culture of the Republic of Moldova, its scientific activity being coordinated by the Academy of Sciences of Moldova. The Museum collections, which initially consisted of the collections of the Republican Museum of Military Glory and the State Museum of History and Regional Studies of MSSR, every year were enriching with items of real scientific value through research, donations, and acquisitions. Besides, in 1989 – 1995 and 2006 – 2007, large transfers of collections from a number of broken up museums – the Republican Museum of Friendship Among the Peoples, the Museum of History of the CPM, the Republican Museum of History of the Komsomol, the Republican Museum of G.I. Kotovsky and S.G. Lazo, the Republican Museum of the History of Religion, the Memorial Museum of Bulgarian Volunteers, and the Museum of Archaeology of The Academy of Sciences of Moldova – also contributed to the growth and diversity of the Museum property. Today the National Museum of History of Moldova owns 348,619 items, the diversity of which covers the history of Moldova over the centuries, from prehistoric times to the present, telling about the land, facts, events, and outstanding people. In 1991 the first permanent historical exhibition “Pages of Centuries-old History of Moldova”, covering the period from the oldest times to 1940, was opened to the public. It was located in three rooms of the 1st floor, with an area of 645 sq. m., containing about 900 exhibit items. 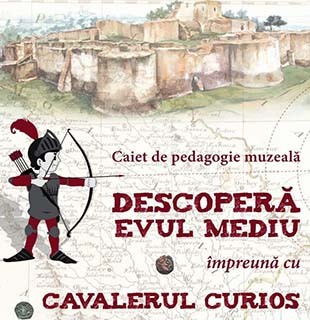 The exhibition illustrated the features of the area between the Prut and Dniester in the context of the history of medieval Moldavian state. As to the period after the dismemberment of Moldova in 1812, in the exhibition there was presented only the history of Bessarabia. In 1997 the permanent historical exhibition was redesigned in content, placement, and by the method of presentation. It expanded to the entire first floor, occupying six rooms with an area of 1,400 sq. m. Chronological framework of the exhibition includes the period from the Paleolithic to the end of the fifth decade of the twentieth century. In 2006 – 2007 the museum was in a new process of rebuilding of the permanent exhibition, intending to make radical changes in terms of vision and the content of exhibits, representing the section of prehistory and ancient history. Underlying these changes are the collections transferred from the former Museum of Archaeology of the Academy of Sciences of Moldova. Of course, the current formula of the permanent exhibition is an intermediate. Now there is conceptually and thematically developing a new vision of the exhibition of the National Museum of History of Moldova. The Museum also offers the public diverse temporary exhibitions, which complement the permanent exhibition and contribute to the promotion of the Museum cultural and historical property. From its opening, the Museum has organized over 650 temporary exhibitions (at the Museum, outside the Museum, and abroad), based on its own collections as well as in collaboration with other cultural and research institutions. The National Museum of History of Moldova from the very beginning was located in the historical building of the former Chisinau Boys’ Gymnasia No.1, later the Boy’s Lyceum named after B.P. Hasdeu (in 1945 – 1963 in the premises there was housed the frontier detachment “Nistru”, and in 1963 – 1977 – the Polytechnic Institute), that was in the process of restoration. Thus, the new museum edifice, taken in operation in 1987, is a modern two-storey monumental building facing the 31 August, 1989 Street. It has 12 exhibition rooms and a diorama, with a total area of 5,700 sq. m.